So when you’re a blogger on Instagram, #hashtagsarelife. But when you use the wrong one (FYI, #growyourown refers much more frequently to marijuana than it does to home gardening, I’ve learned), you end up with some super random people following you. Here’s the thing though – they aren’t actually looking to follow you. They’re looking for you to follow them. They follow you in hopes that you’ll click back to their profile and follow them, and if you don’t, they come back and unfollow you. What an incredible waste of time. I already can’t find the time to dedicate to social media; I can’t even imagine just following and unfollowing people all day long. And then, let’s talk about food sharing sites. Did you guys know I’m on Yummly now? Or at least, I think I am. Their website says you have to apply, then submit an application, and then wait (possibly a few months…!) to be approved as a publisher, and then your readers can start Yumming your recipes. I’d really prefer you guys make my recipes instead of Yumming them (who even knew that was a verb), but to each his own. I also have to give them a link to the post where I informed you all I was on Yummly, so here it is! If you’re curious, you can click the button on the left side of the screen that’s red with the white Y in it, and it will take you right to Yummly. Yum yum yum. 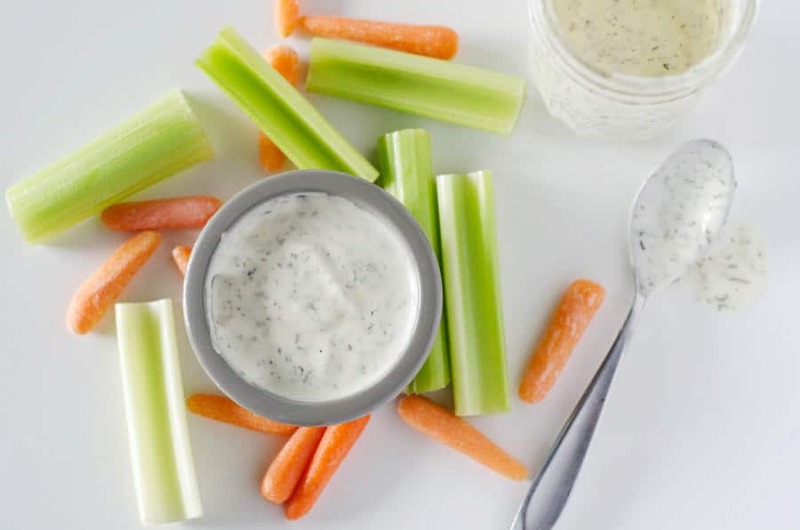 Speaking of yum…let’s talk about this ranch dressing. It’s delish. And it’s Whole30, which, let’s face it, #Whole30islife right now. Speaking of, are you in our Whole30 Facebook Group? If not, you can join here. It’s a great community of veteran and newbie Whole30’ers, sharing info, posting recipes, moaning about the things they can’t have, and being all around supportive and awesome. In the very near future, I’m going to share a recipe with you for a Buffalo Chicken Casserole that is the perfect thing to slather this homemade ranch dressing on. In the meantime, put it on your salad, dip your veggies in it, whatever strikes your fancy. If you like it a little spicy, add cayenne pepper a little bit at a time until it’s the right amount for you. Just remember – you can always put more in, but you can’t take it out! 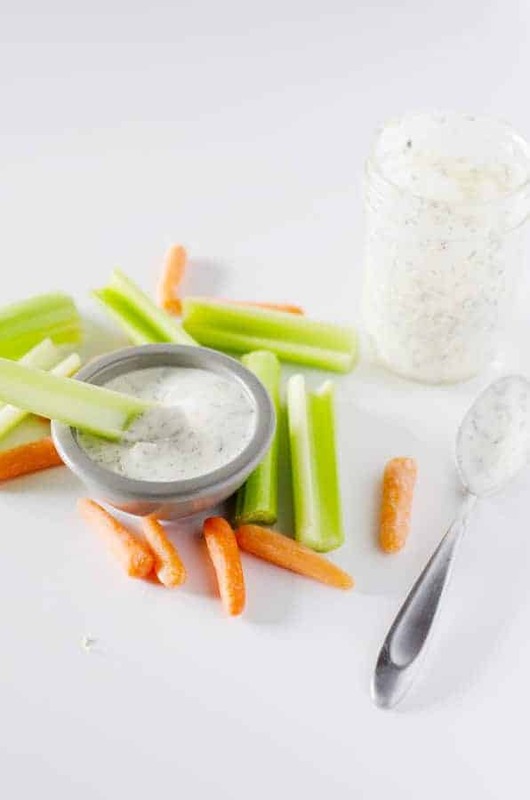 I seriously doubt you’ll go back to eating any ranch dressing other than this one. It’s so quick to put together and tastes way better than anything you’ll find at the store. What’s your favorite thing to put ranch on? Share in the comments! 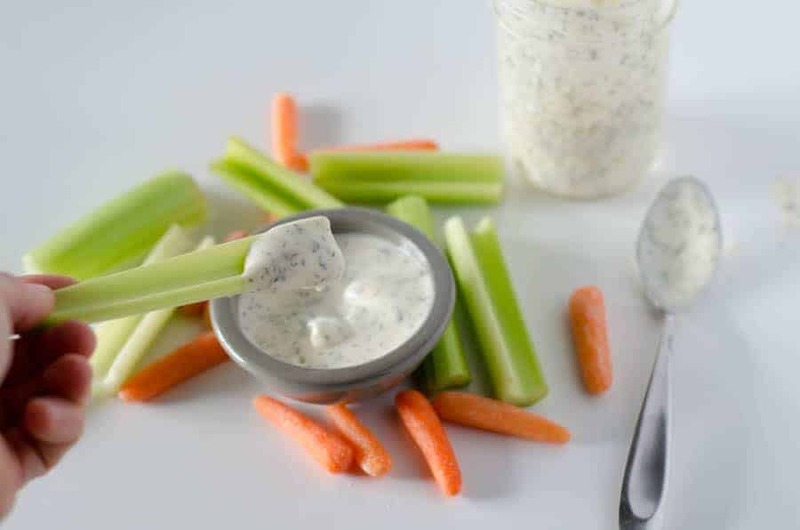 Makes approximately 1 1/4 cups of ranch dressing. Can’t wait to make this! Question, can I double the mayo recipe when I make it? It’s such a picky recipe that I’d hate to waste that much oil if doubling doesn’t work. Hey Alex! 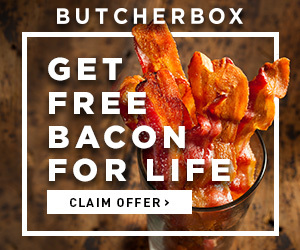 I would say no more than 2 weeks, but I’d be surprised if it didn’t all get eaten sooner than that. 🙂 We usually use it up in a few days! How many servings does this make, and what is the serving size? Thanks! Hi Kari! Thanks for your message. I’ve updated the recipe to include all of this information in both the recipe notes and the nutrition info. 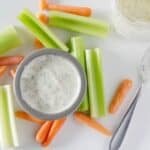 It makes approximately 1 and 1/4 cups of dressing, and the nutrition info is calculated based on a serving size of 1 Tbsp. Hi Rebecca – I’ve not tried almond coconut milk, and I’m not sure which brand you have. I do use full-fat coconut milk, so with the almond-coconut it may come out a bit thinner or runnier, but I don’t think it would change the flavor at all!